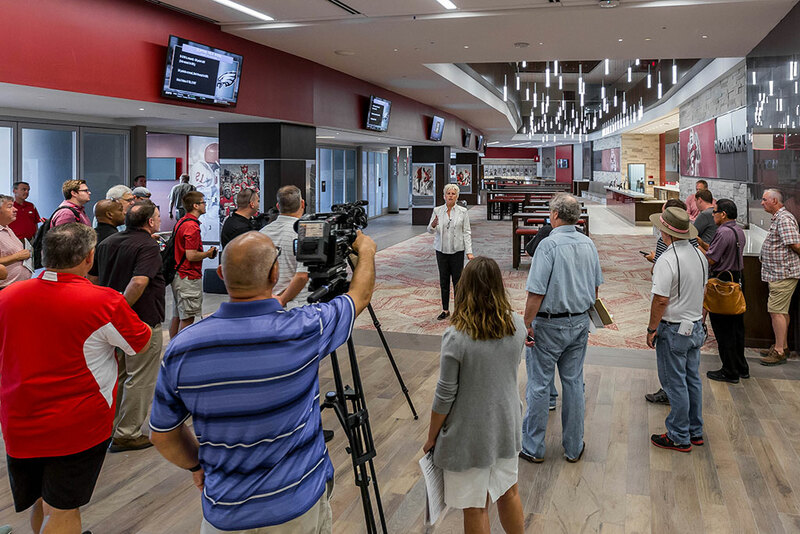 Chris Pohl, associate AD for events, speaks Monday during a media tour of the expanded north end zone inside Reynolds Razorback Stadium. 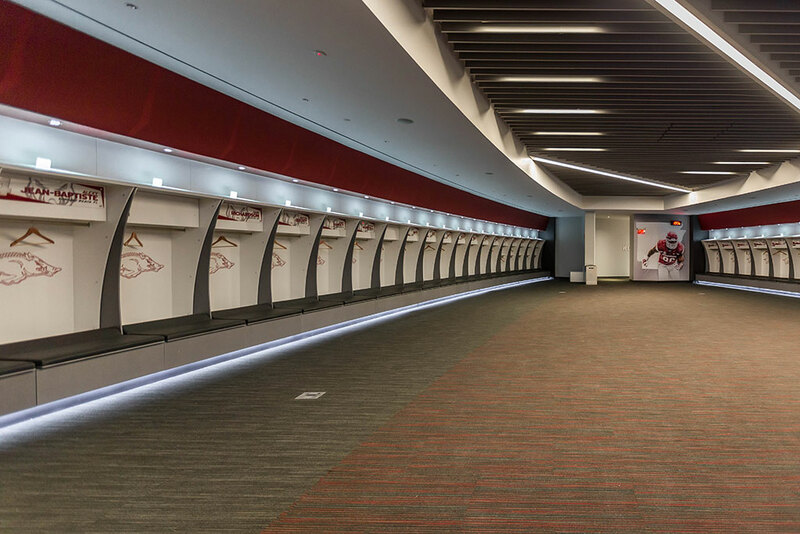 With less than a week to spare, the $160 million renovation and expansion of Reynolds Razorback Stadium is (mostly) complete. 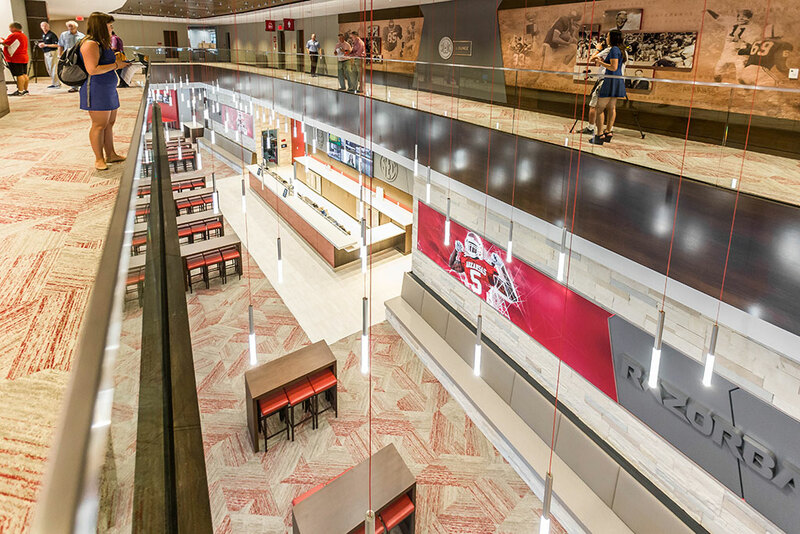 The expanded north end zone project features four levels, and includes 40 suites, 70 loge boxes, and 1,967 seats, along with an updated Broyles Center that houses offices for coaches and department administrators, a new game-day home locker room for the players, and other amenities. 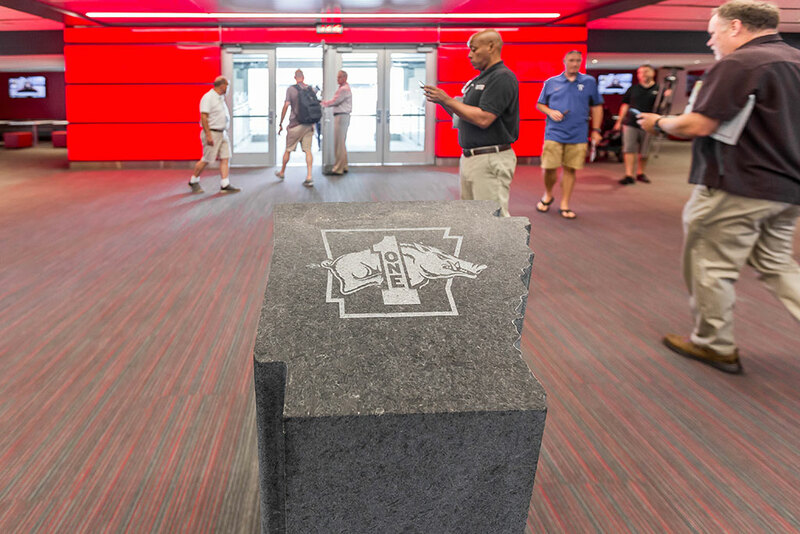 A majority of the project has been completed, with only a few finishing touches remaining on the public areas. 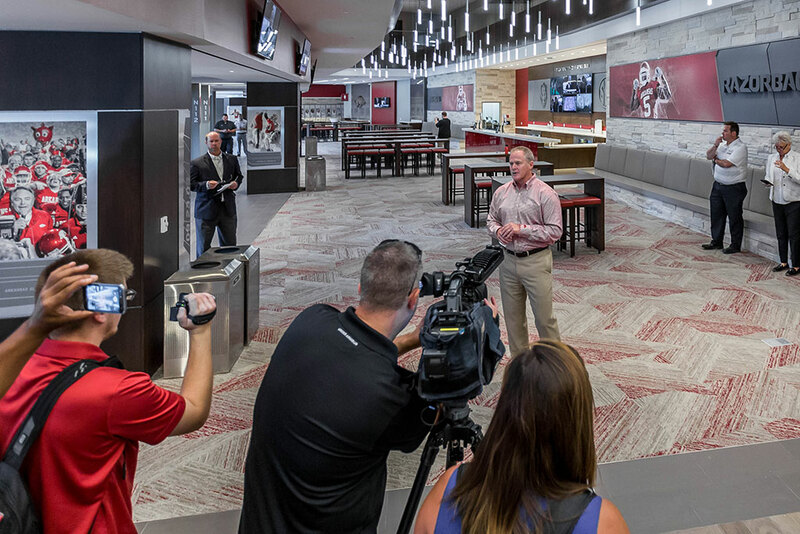 “All the football-game necessary areas for Saturday will be completed,” UA athletic director Hunter Yurachek told reporters on Monday. 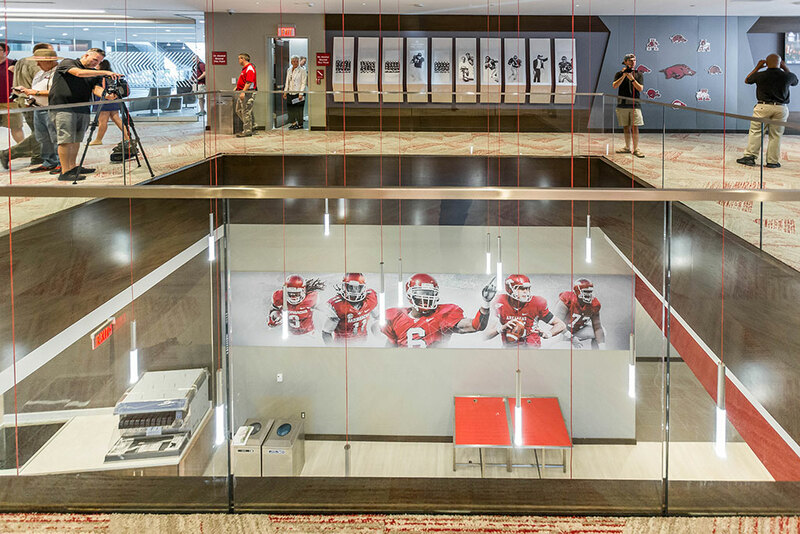 “Really, the only areas of this facility that won’t be operational on Saturday will be the office complex. 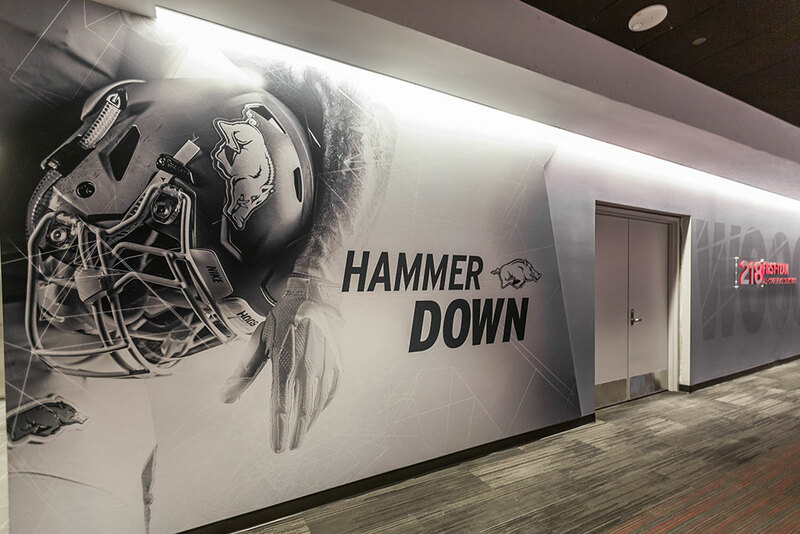 Those areas will be completed, but we’ve got some work to do this week, and our staff needs to focus on the football game piece. 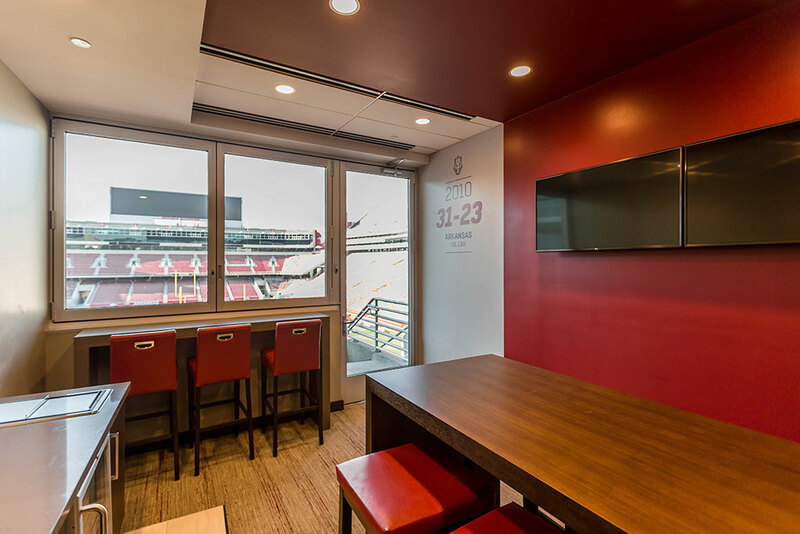 We all have offices, so moving into our offices, setting up furniture, computers, and things of that nature aren’t necessary for us to play a football game on Saturday. 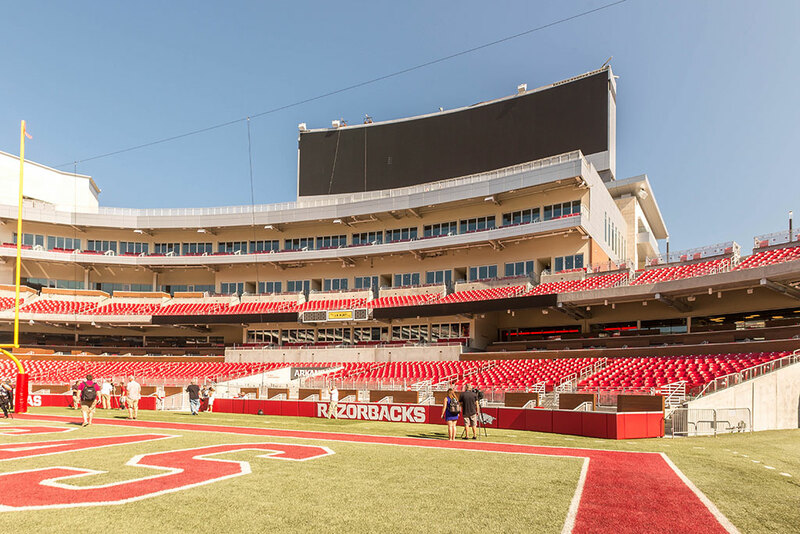 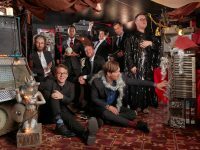 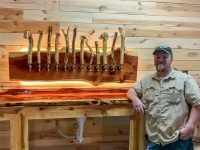 “Everything else will be ready, and it will be finished within the $160 million budget which has been the case since this project started,” he said. 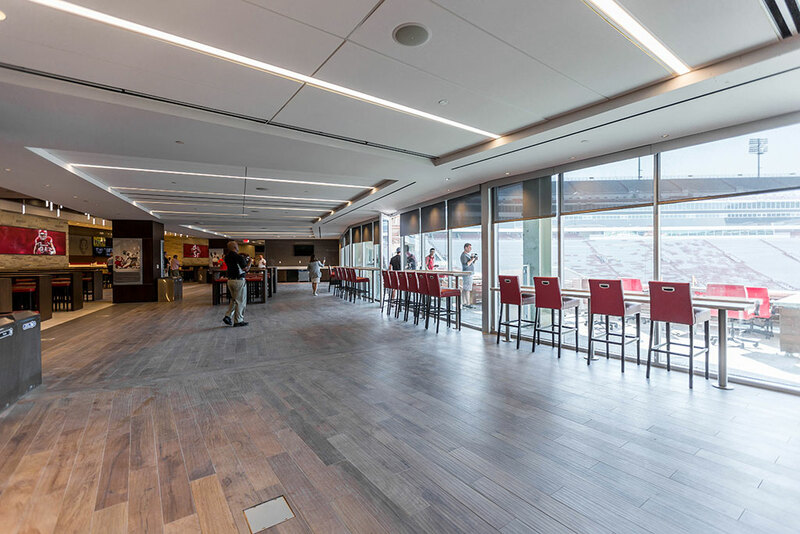 The expanded stadium now also includes a full 360-degree concourse that will allow fans access to all sides of the stadium, regardless of their ticket type. 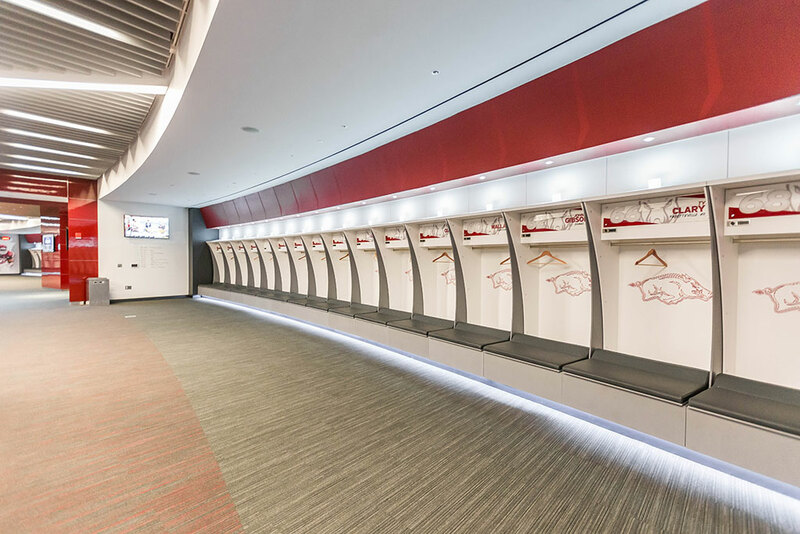 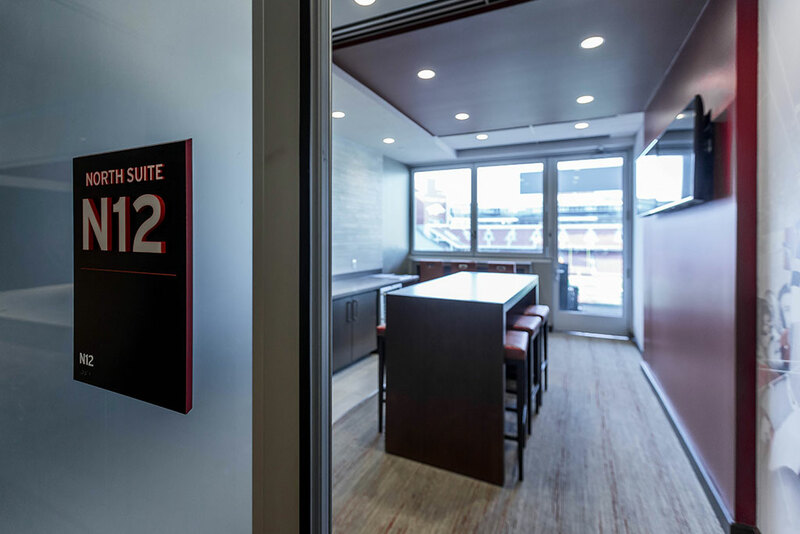 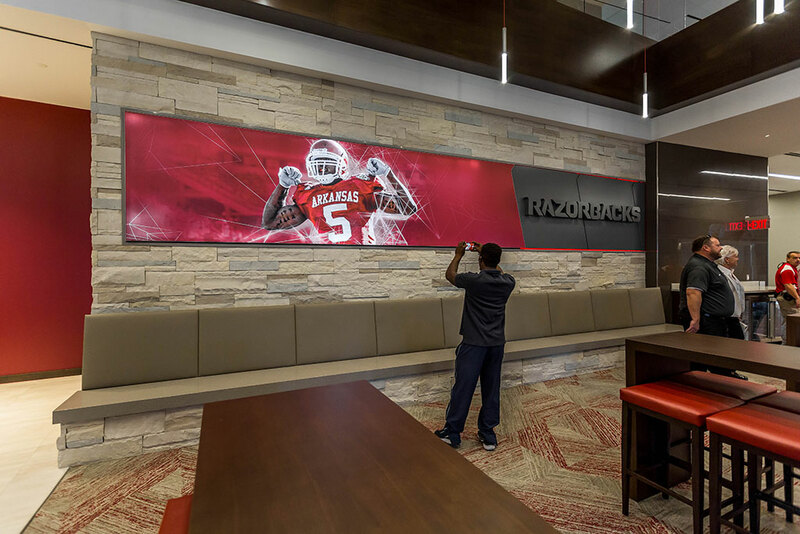 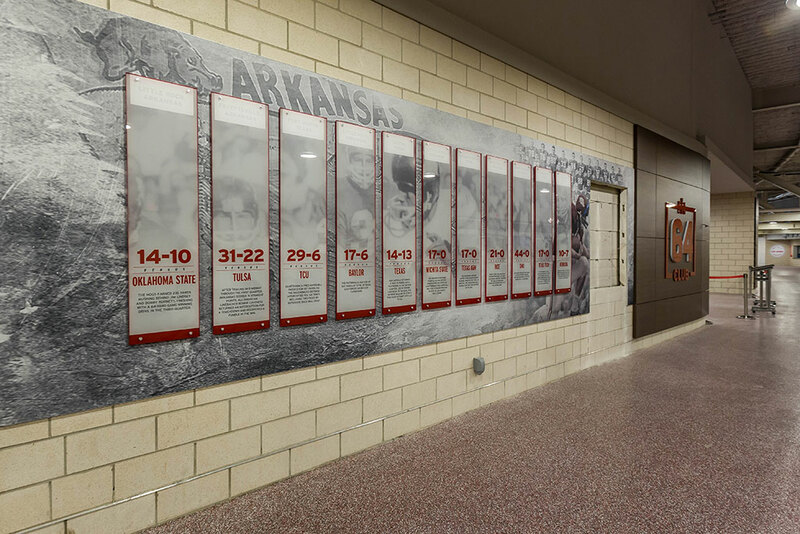 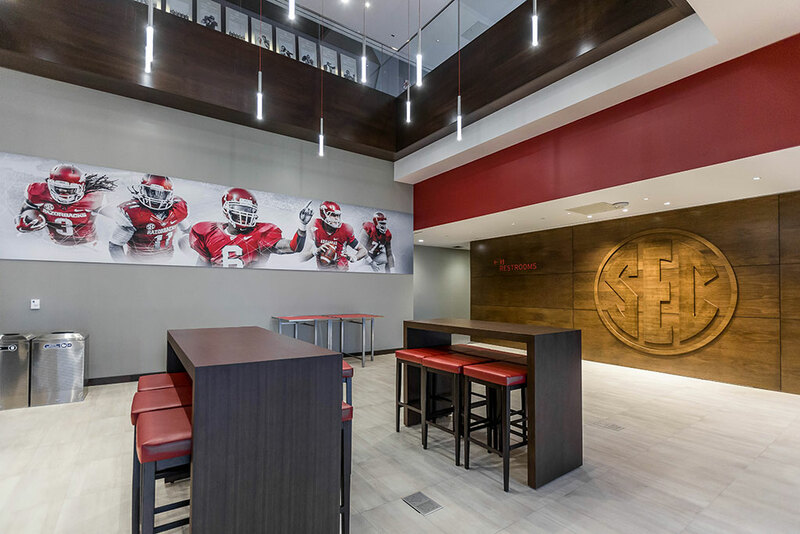 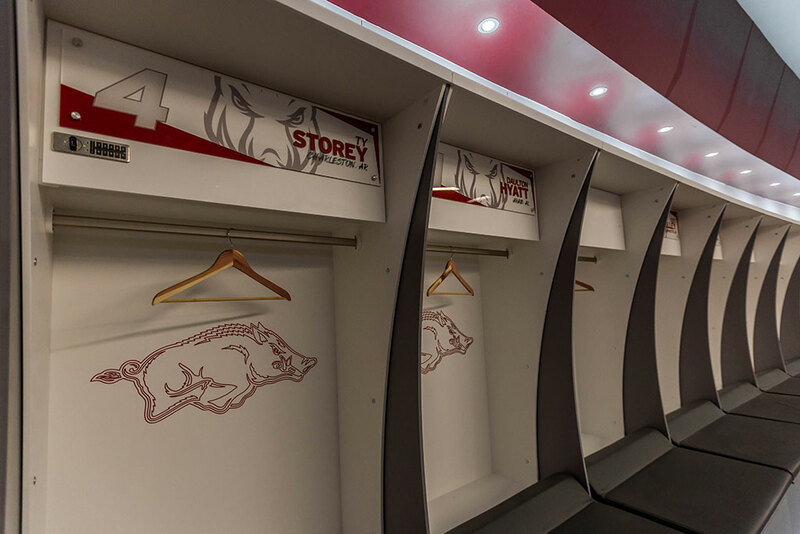 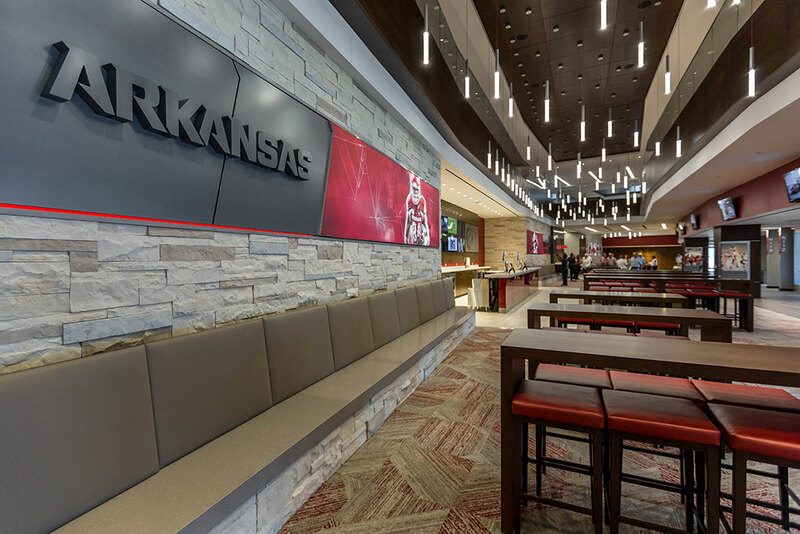 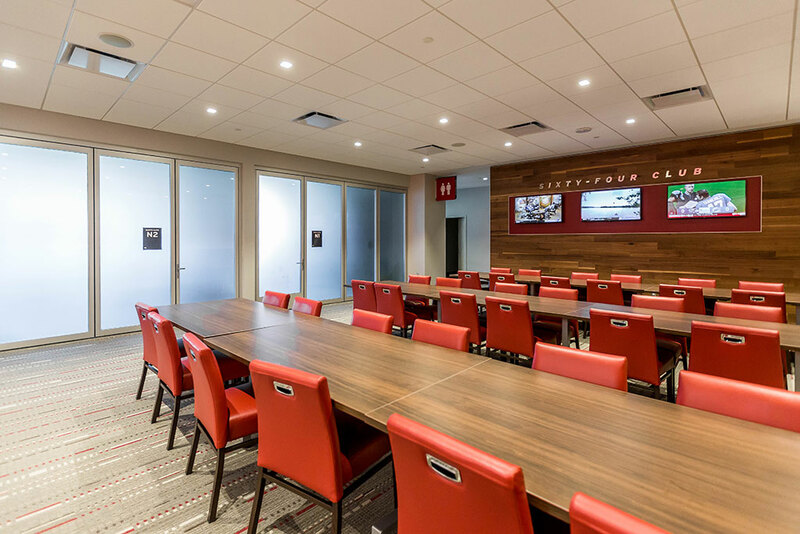 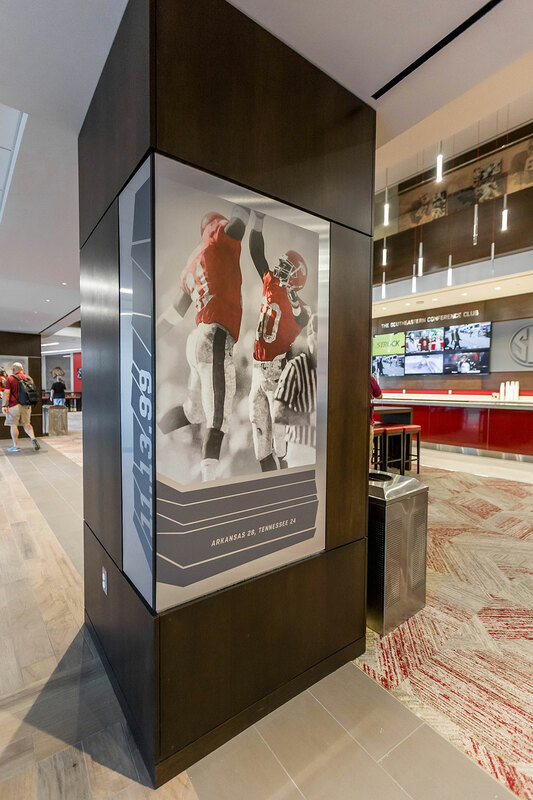 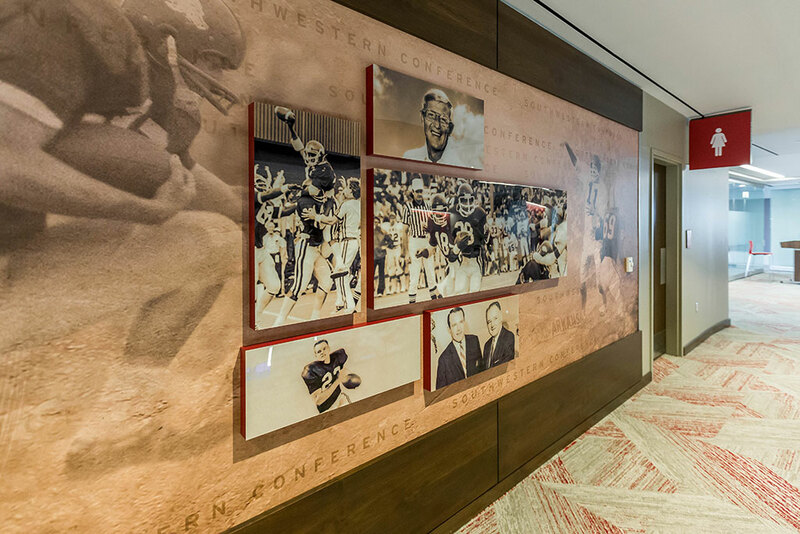 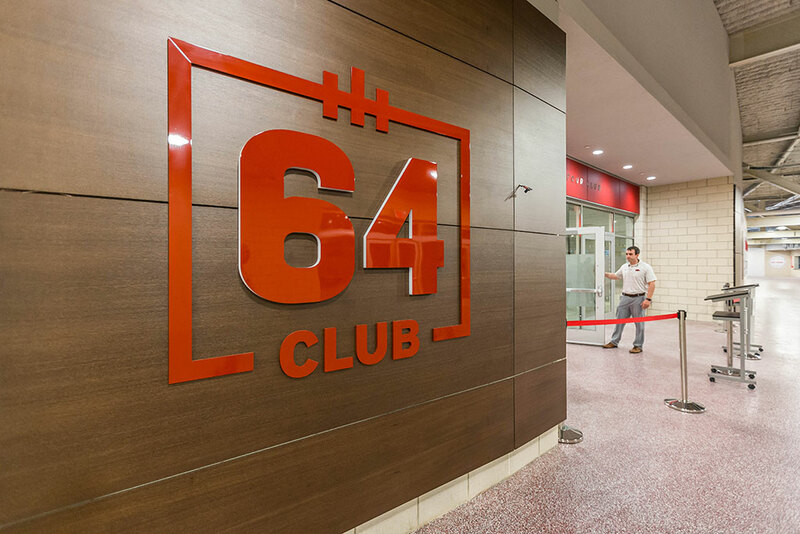 A new SEC Club area is themed to celebrate the history of the program since Arkansas joined the conference in 1992, and the suites have a ‘victory’ theme with each box celebrating a memorable Razorback win over the course of the program’s history. 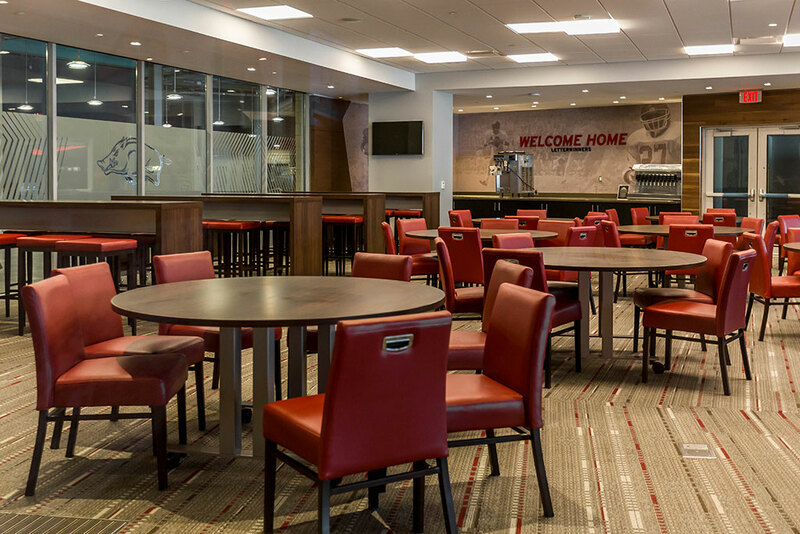 The area includes a 10,000-square-foot club space with concessions to service the fans in the suites, loge boxes, and club seats. 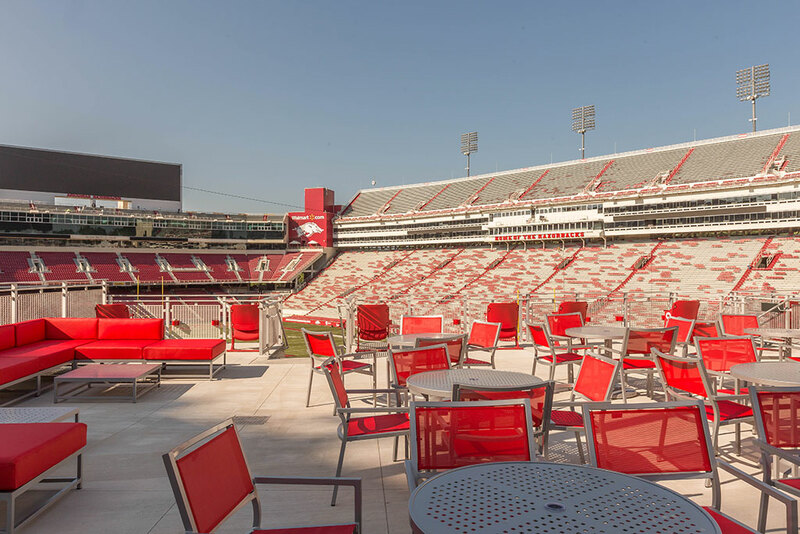 All tickets in this area come with food and non-alcoholic beverages. 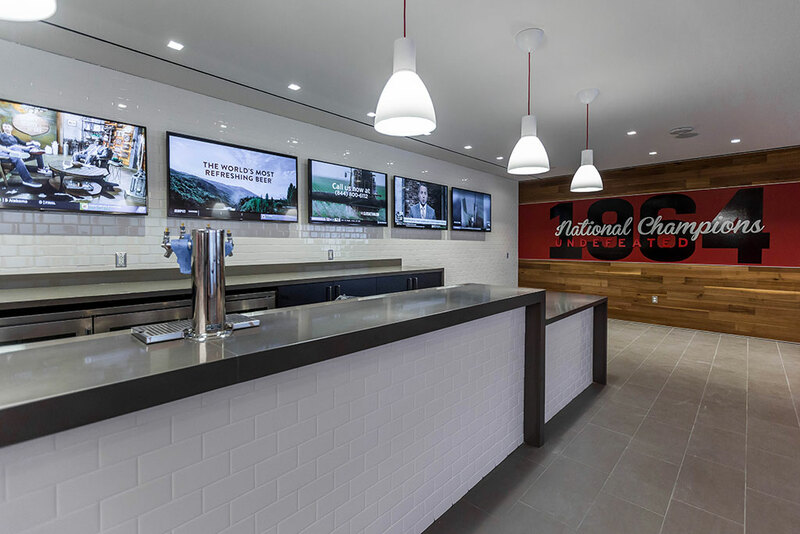 Beer and wine are available for purchase. 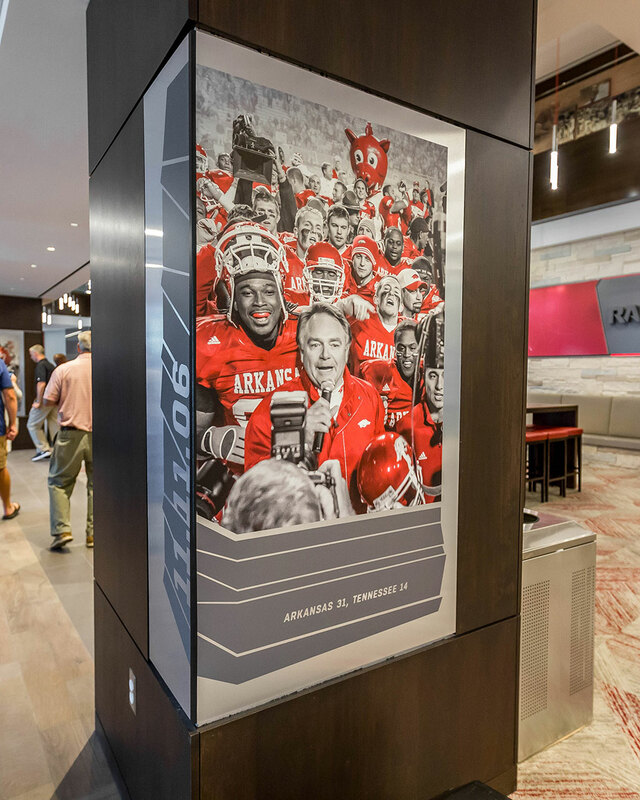 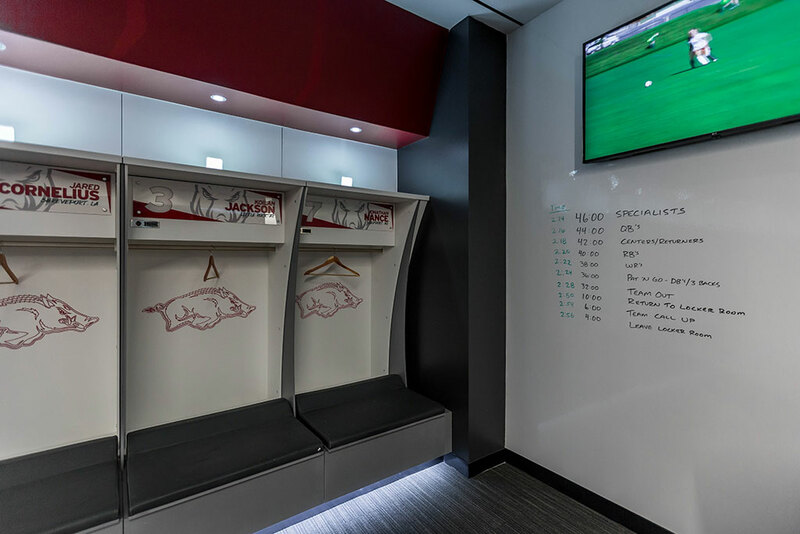 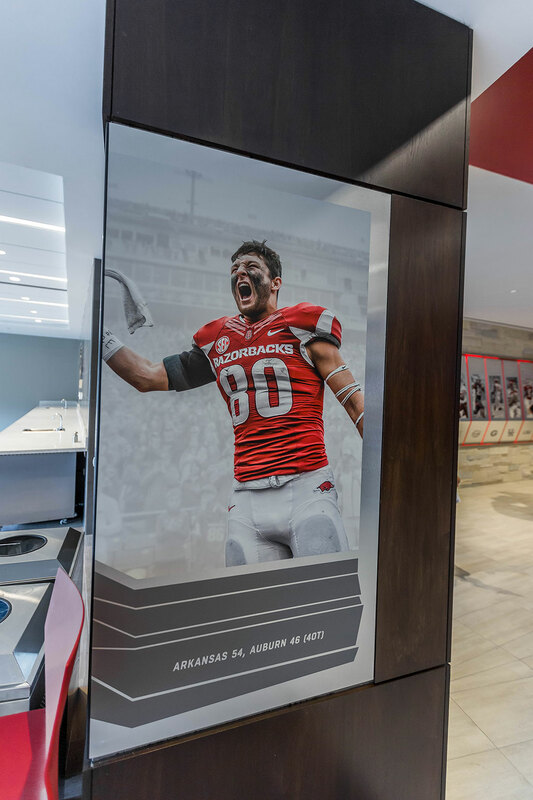 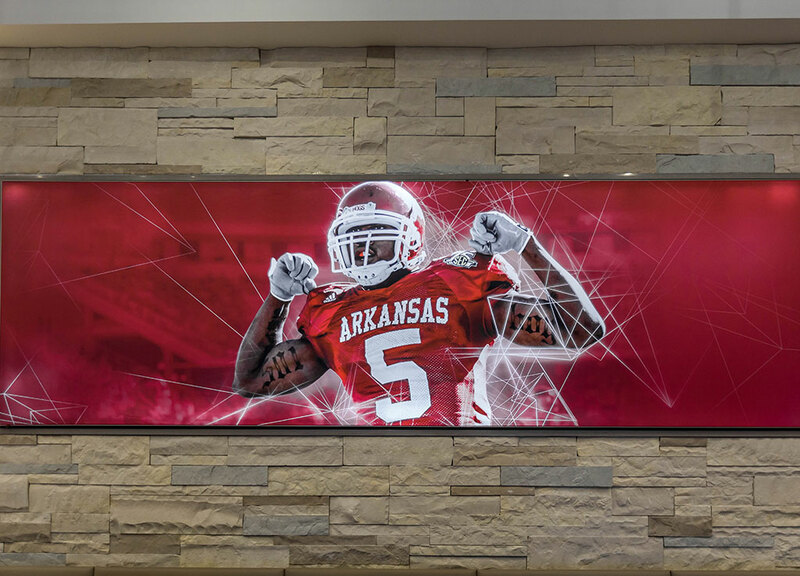 The upper floor celebrates Arkansas’ Southwest Conference days, with individual suites featuring graphics of various Razorback legends. 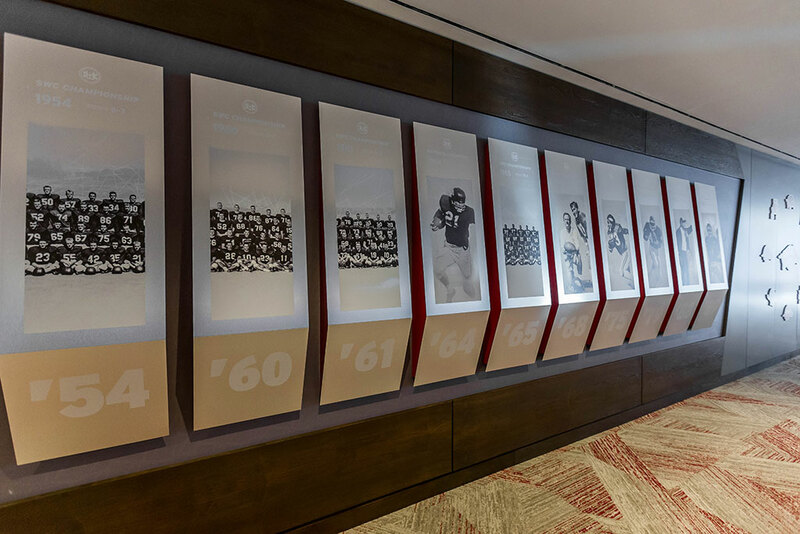 Downstairs is the ’64 Club, which includes about 4,300-square-feet of space, and features a championship theme. 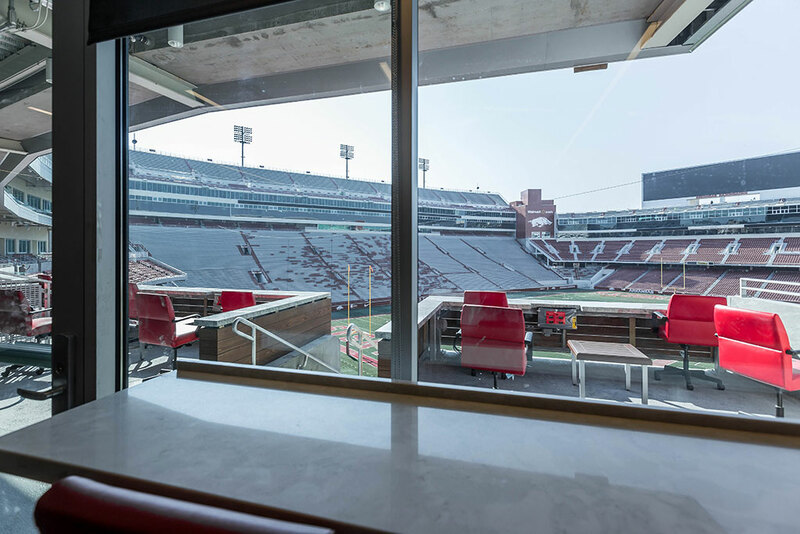 According to the annual report supplied by the Razorback Foundation, all of the new suites and loge boxes included in the recent renovation are currently occupied. 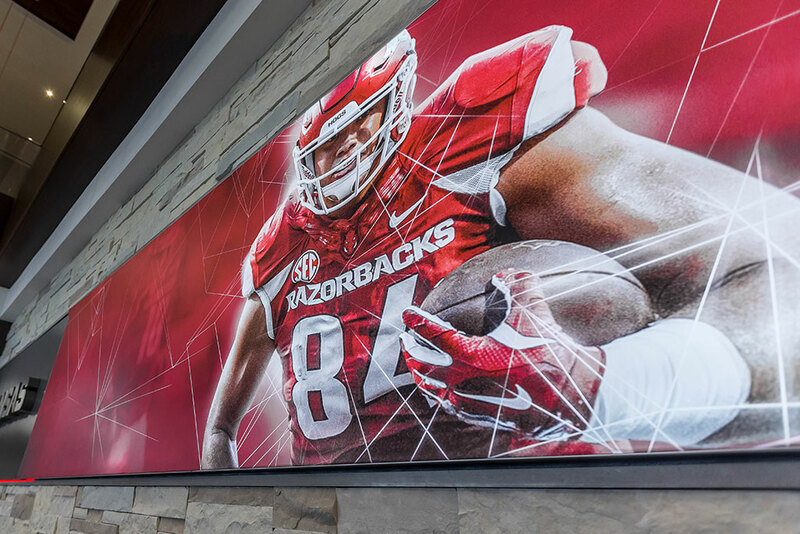 Officials also discussed some other changes to stadium policies and procedures for the upcoming season. 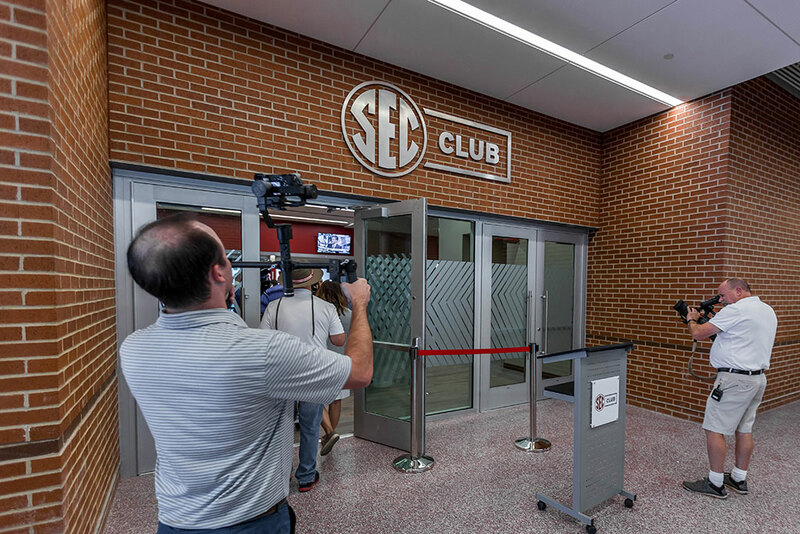 For one, guests will scan their own tickets as they enter the stadium beginning this year. 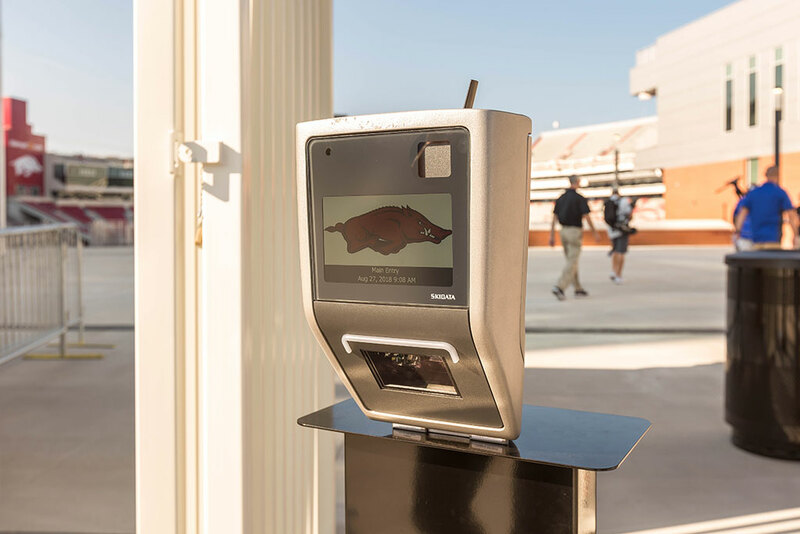 The new self-scanners placed at the gates can scan both paper and digital tickets. 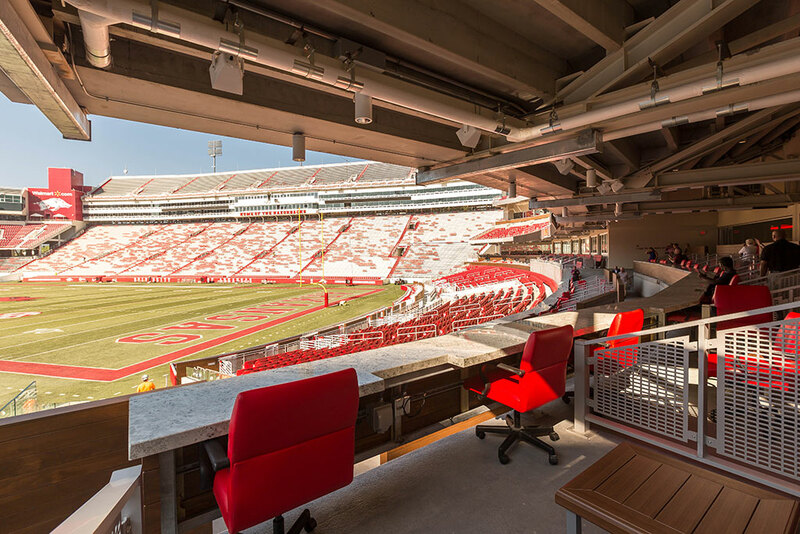 The new ticketing system is part of a concerted effort to improve and enhance the guest experience at the stadium. 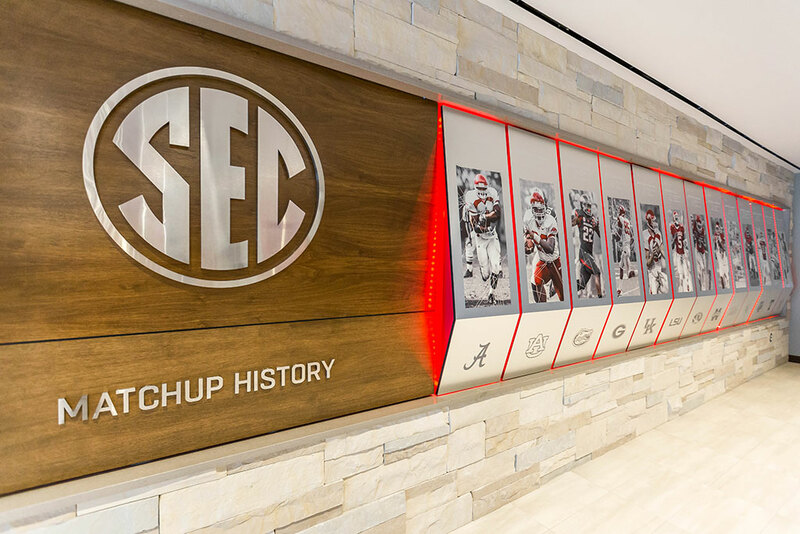 Also, as part of the renovation process, some of the gates and seating sections have been re-numbered sequentially to make navigating the stadium easier for fans. 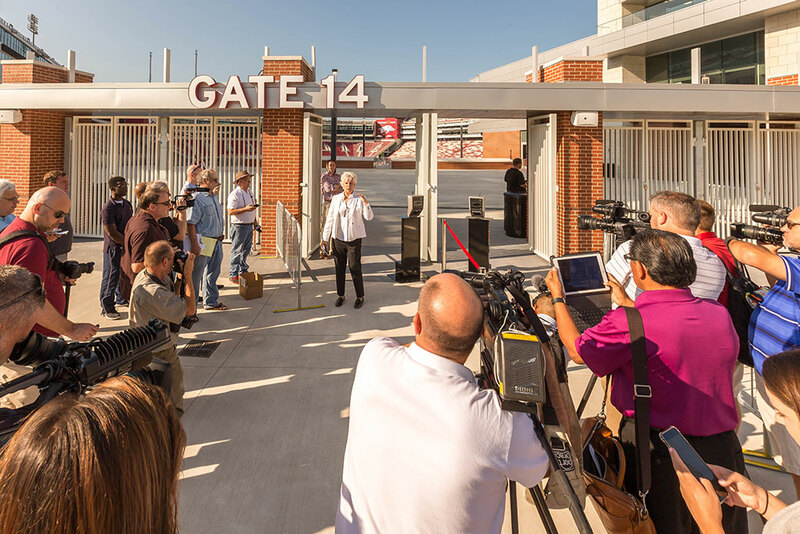 Game attendees are strongly encouraged to enter the gate on their ticket, though it won’t be required, Pohl said. 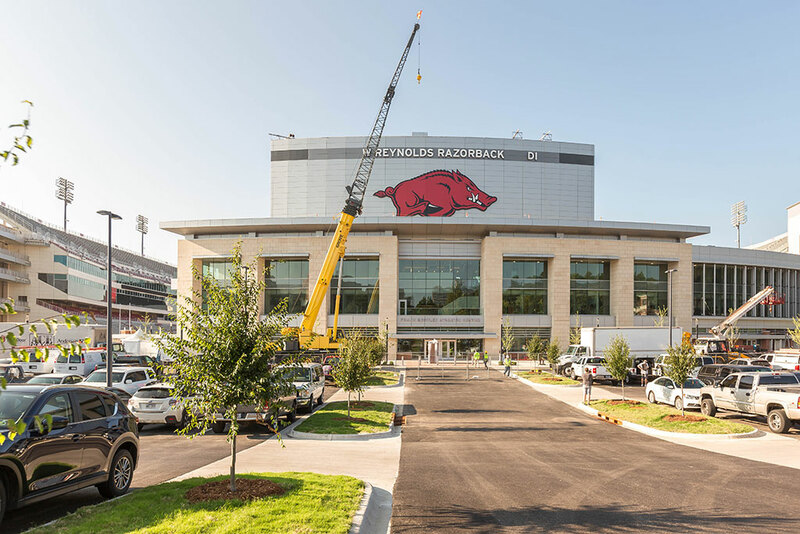 The game day traffic flow plan will remain the same as it was last year. 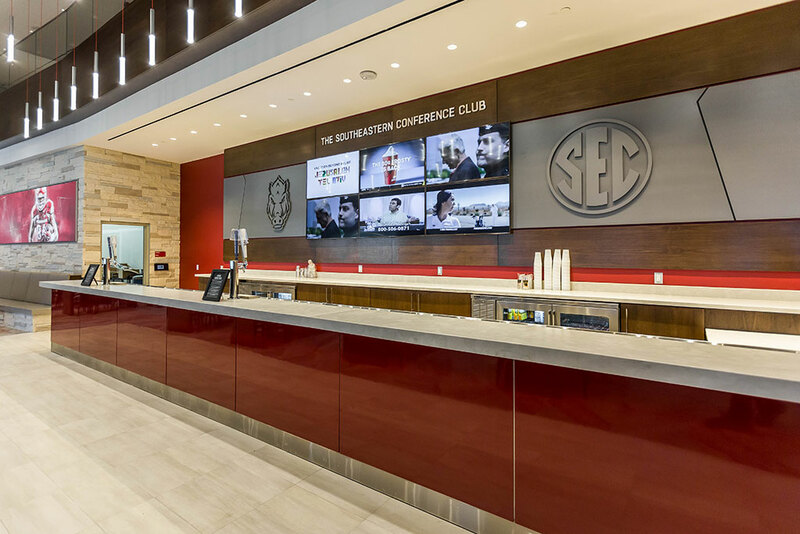 The SEC’s clear bag policy will remain in effect this season as well, where only clear plastic, vinyl, or PVC bags that do not exceed 12″ x 6″ x 12″ (or one gallon clear plastic freezer bags) will be allowed inside the stadium on game days. 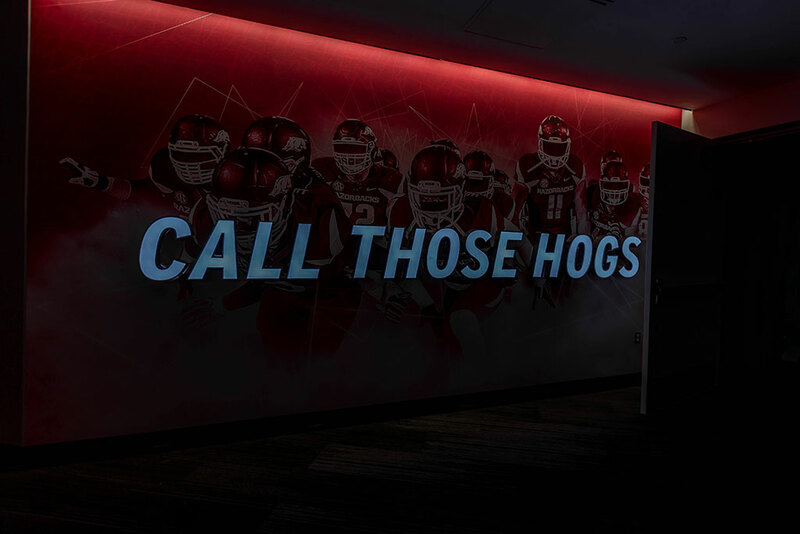 Arkansas will officially open the season against Eastern Illinois on Saturday, Sept. 1. 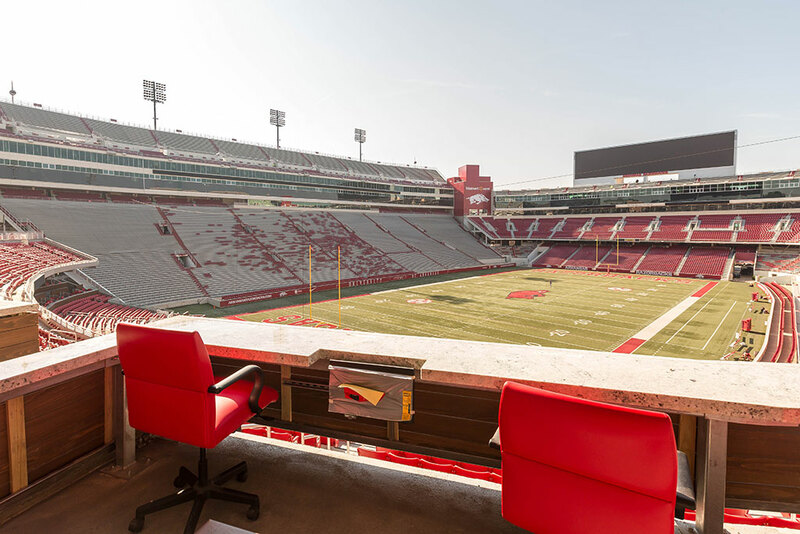 Kickoff is set for 3 p.m.